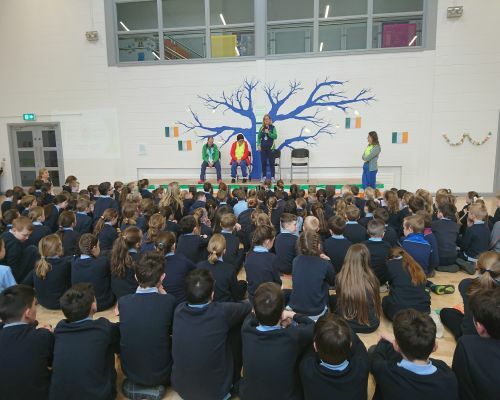 Wednesday, 27th March saw three Special Olympians visit Kildalkey N.S. to show the students the medals they won in Au Dhabi and tell them their stories from their experiences. 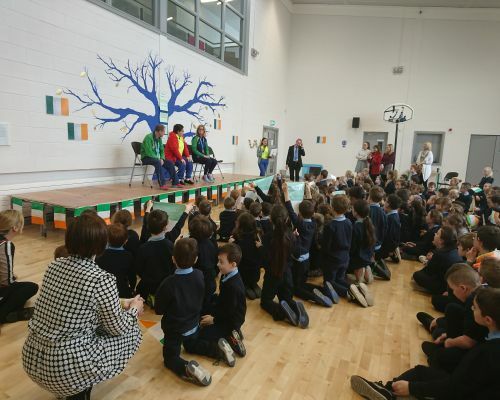 Francie, Philomena and Fiona sat with the school for an hour and told them of how they won their medals in athletics and table tennis. Philomena told the students of how she performed a speech to open the ceremony. 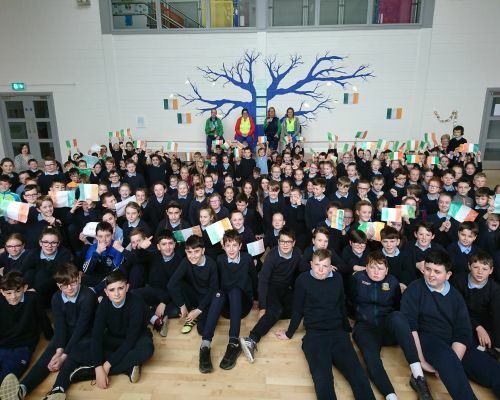 Thanks very much to Miss Garry who was in Abu Dhabi with the Olympians and organised theur visit to the school. And a huge thank you to the three Olympians - we were very privileged to have them visit. 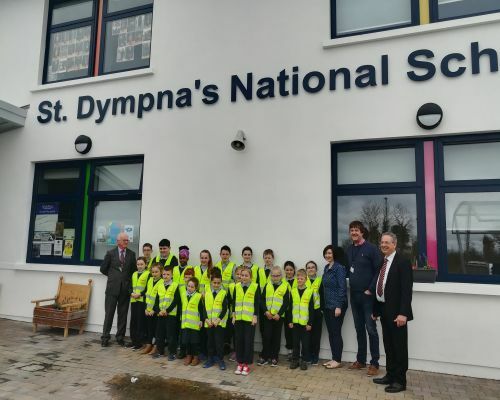 The school has recently received Hi-vis vests from the FBD and Combines for Charity. Courtesy of FBD and Combines for Charity, every child in the school receieved a Hi-Vest. It is hoped that the children will use these vests when walking and cycling to school and in their own time too! 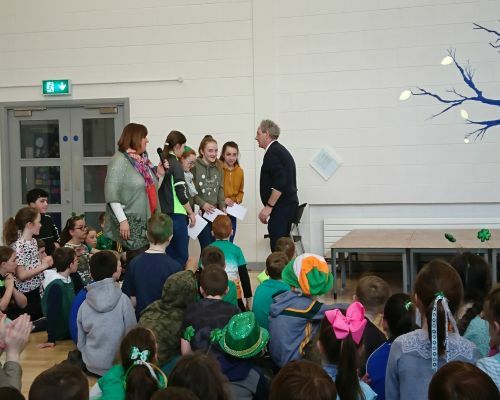 A financial contribution was also received from Combines for Charity which will go towards improving the school's playing facilities and the sensory room. 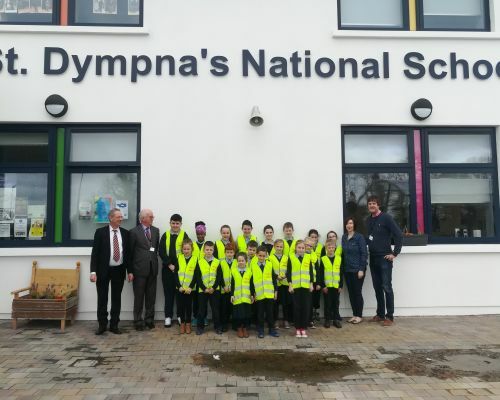 Many thanks to Noel from FBD and Philip from Combines for Charity for coming in to present the school with their Hi-Vis jackets. 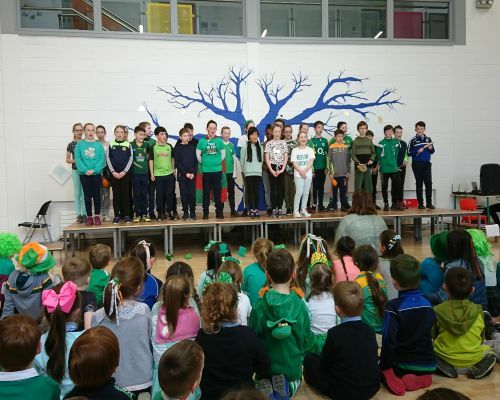 Well done to all who took part in our inaugural St. Patrick's Day Show. 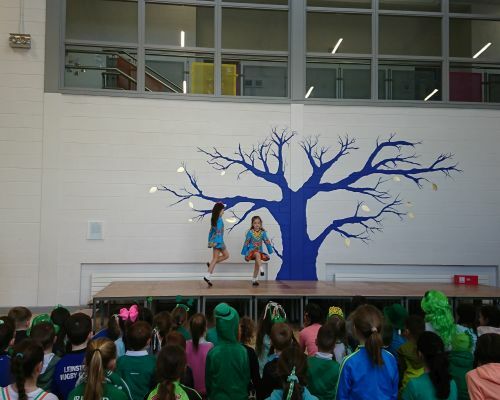 Classes from Senior Infants all the way up to sixth took part, providing a superb spectacle with plenty of singing, music and dancing. 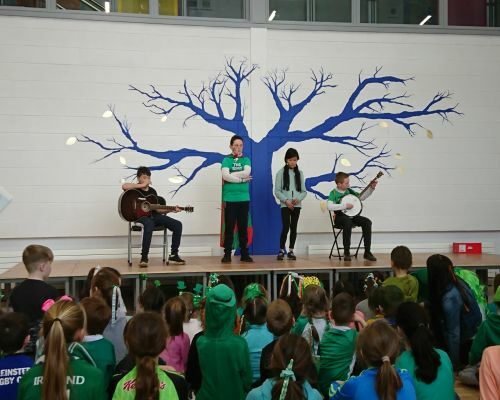 Maith sibh agus míle buíochas do Miss Lynch a shocraigh an lá! 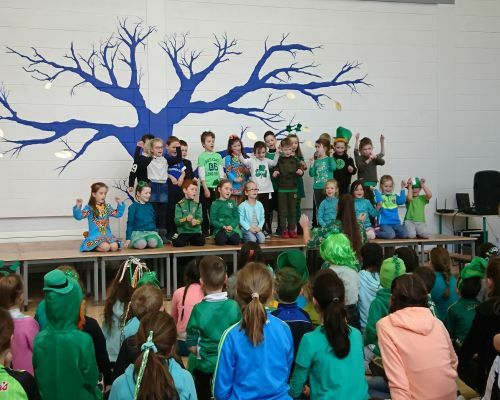 Ag deireadh an taispeántas, thug Mr. Fox bronntanais chuig na cailíní a bhí sa comórtas Intel Mini Scientist. 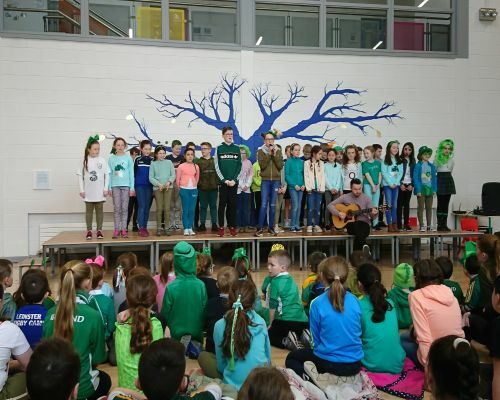 Lá iontach a bhí againn! 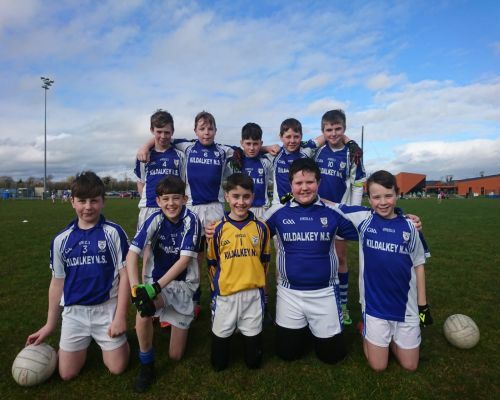 Well done to the boys' Mini 7s football team who qualified for the county finals on Wednesday, 21st March 2019. 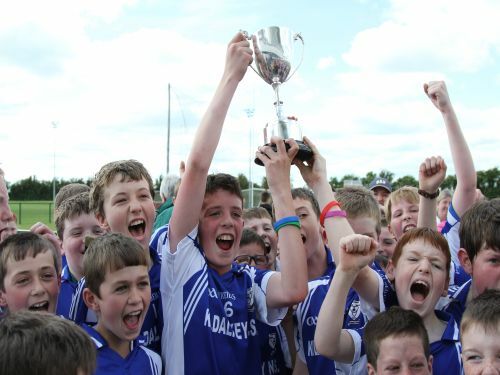 The boys beat Ballivor, Athboy and Rath Cairn on a very blustery day in Dunganny. Well done to the boys - apologies for the lack of photos!